Welcome to Guichon’s Chihuahuas. We are located at the northern tip of Virginia surrounded by beautiful countryside and the Blue Ridge Mountains. Our property has several acres of land in a private setting where dogs can run and play safely in a large fenced-in area. Each of our dogs is raised with care and socialized as part of our family and we consider each dog a beloved companion before consider him or her a show dog. We occasionally offer puppies as companions or show prospects to approved homes. If you are interested in owning one of our beautiful health tested dogs for show or just as a lap warmer, please contact me (junko@guichonchi.com) to learn what we might have available. We are not a mass producer and do not always have puppies available, but we can provide puppies that are well-bred, beautiful, healthy, and happy to those who are willing to wait for one. Our breeding stock consists of our show dogs who have been screened by specialists for genetic and non-genetic health issues associated with this specific breed. They are certified healthy by cardiologists, orthopedists, and ophthalmologists and have CHIC numbers in accordance with ChihuahuaClub of America guidelines. Our puppies receive their final veterinary check-up prior to leaving us and sent with a full report to their new homes. All pet puppies are sold with 2 year health guarantee & neuter/spay contract. 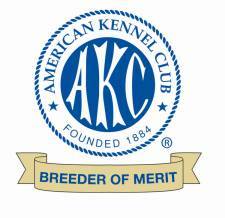 We are proud to be an AKC Breeder of Merit and also participate in the AKC Bred with H.E.A.R.T. 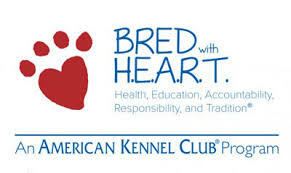 program while continuing to educate ourselves about our dogs’ health and more. We take the health of our dogs very seriously, make sure to educate ourselves, and spare no expense in the care and breeding of our dogs. The foremost purpose of our breeding program is to produce the best quality puppies who are happy and healthy so that we can continue to show and be competitive in the ring. Whatever we don’t keep for ourselves becomes available to reputable exhibitors worldwide or to permanent loving pet homes. Some of our pet puppies are easily show-quality. Our puppies are direct off-springs of AKC Champions and Grand Champions, not to be confused with “so-called” Champion bloodlines. Please do not expect to pay a cheap price for our puppies. We are not even close to breaking even by breeding the dogs in the right way. For those who live too far to pick up a dog in person, we work with reliable pet nannies who hand carry puppies with them in the cabin of their flights to any major airport for $325 (East coast) – $375 (West coast). We do not ship our dogs in cargo holds. If you would like to make an inquiry or be added to our puppy notification list, our preferred way to be reached is by email at junko@guichonchi.com. A phone number is also available upon request.